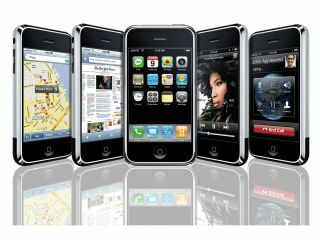 O2 and Phones4U have announced a new deal that will see the iPhone 3G and 3GS sold on the O2 network throughout the country. Building on the deal with independent retailer Carphone Warehouse, the new agreement will see the iPhone stocked in a further 450 venues throughout the country. Customers will be able to pick up the phone on the full range of O2's contracts as well as on Pay As You Go, with Apple-approved accessories on sale too. "Being able to distribute the iPhone through our partner Phones 4u helps us develop our strong trading partnership and, of course, reinforces O2's position as home of the smartphone" said Stephen Shurrock, O2's UK sales director. After the announcement that O2 is losing its exclusivity on the iPhone, with rivals Vodafone and Orange to begin offering it in the next few months, it was crucial the network hung on to some USPs with the device. A wider range of outlets, coupled with the exclusivity on the Palm Pre, will help it to extend its reach to more consumers, at least in the short term.